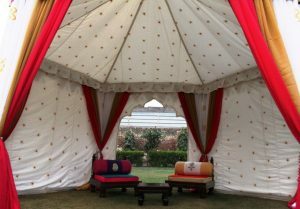 Christmas is round the corner & we are sure you wish to make the most of this occasion, by throwing a party in your own personalized Canvas Marquee ! 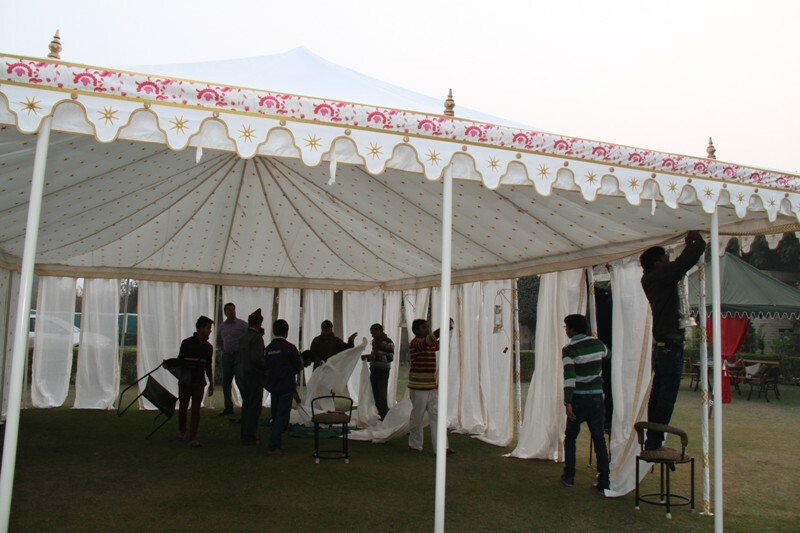 Here we present a 20ft x 30ft Canvas Party Marquee, being trial pitched in our factory lawns. 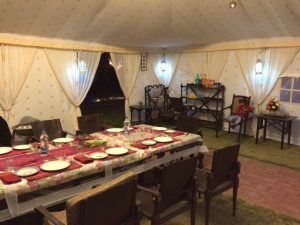 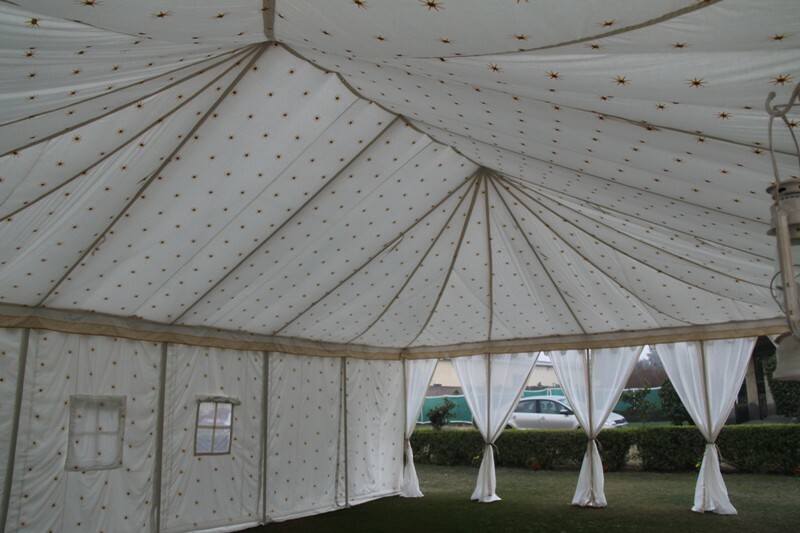 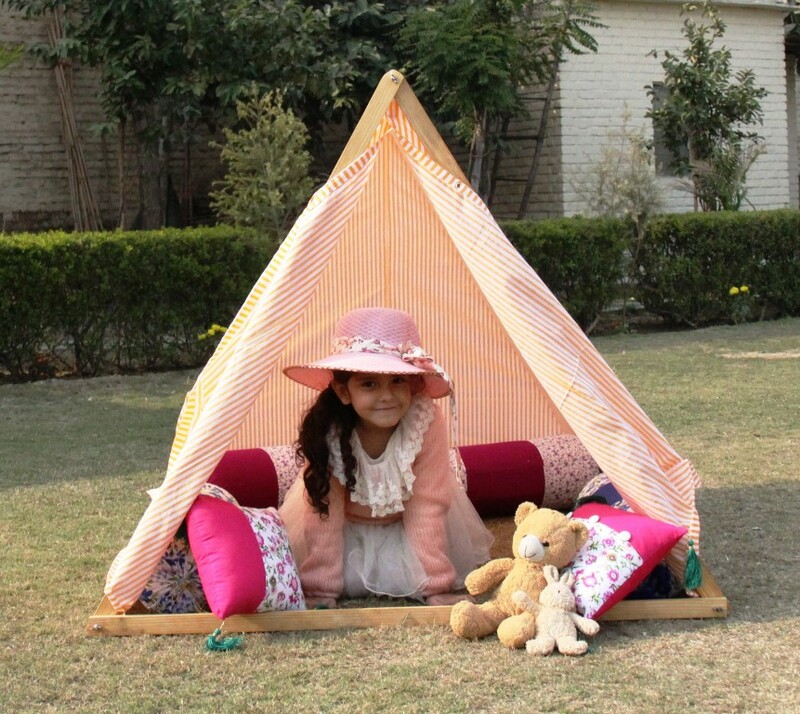 This is a Frame Tent, with no Center pole, hence, you have the entire inner area for your furniture & seating. 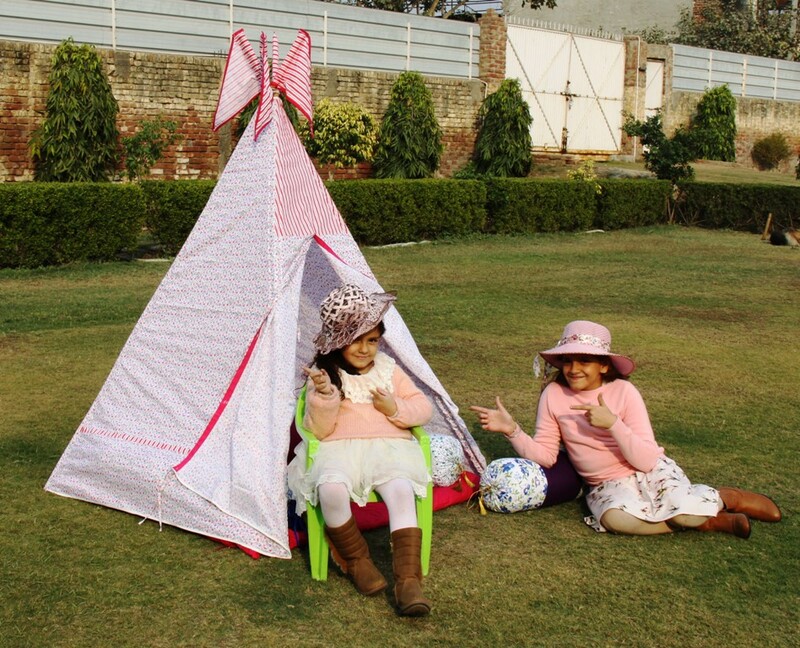 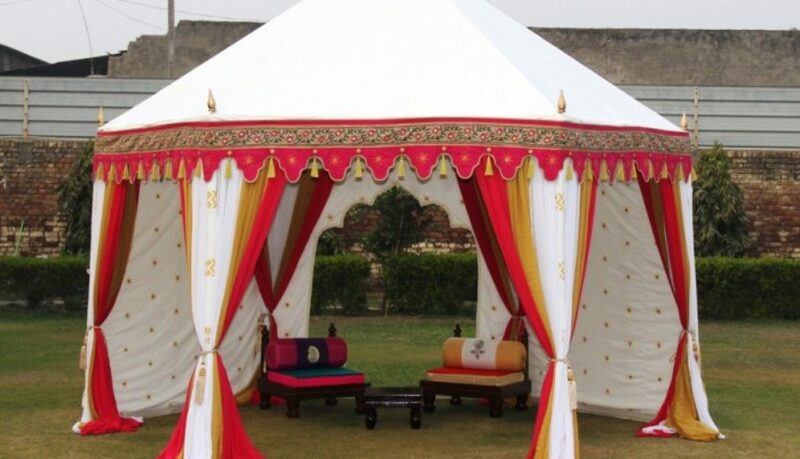 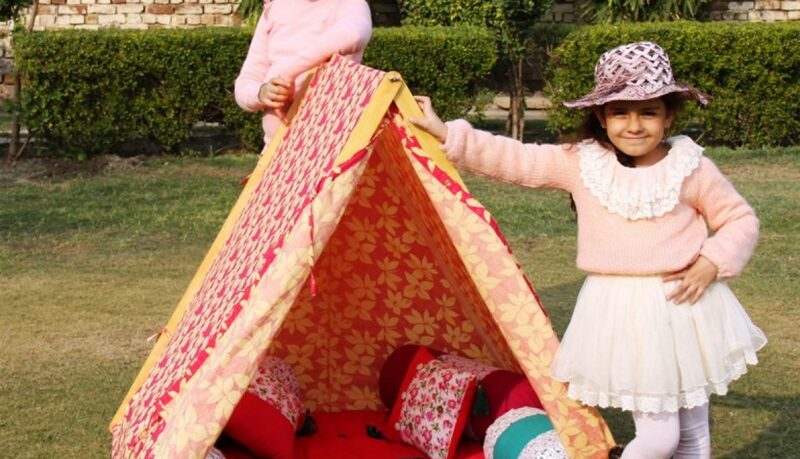 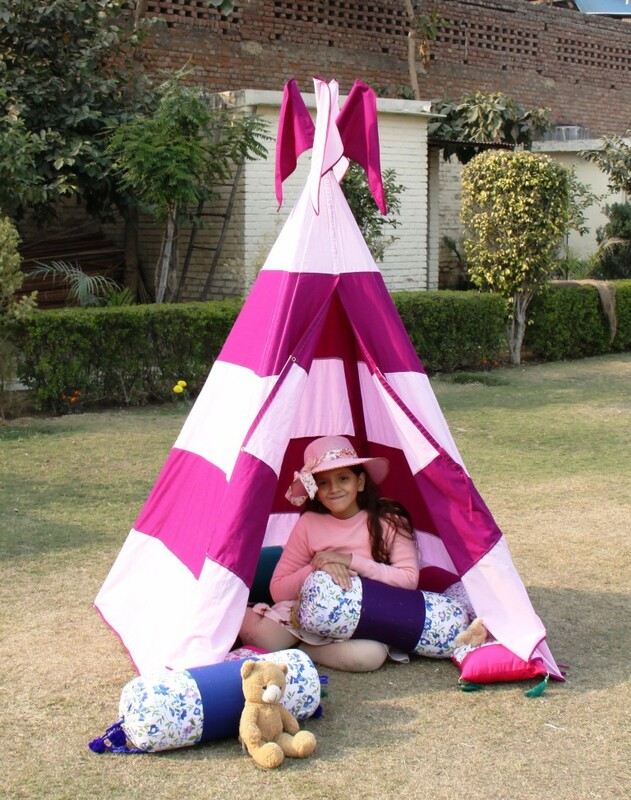 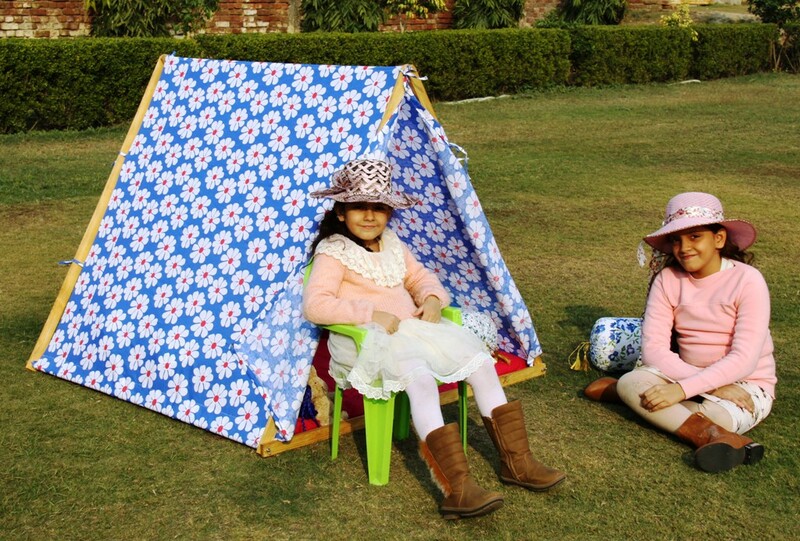 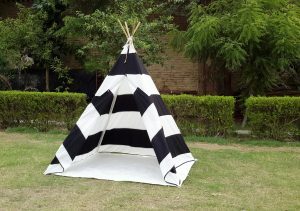 You can also customize the Tent, size, colors, windows, doors, sheer drapes & inner lining prints. 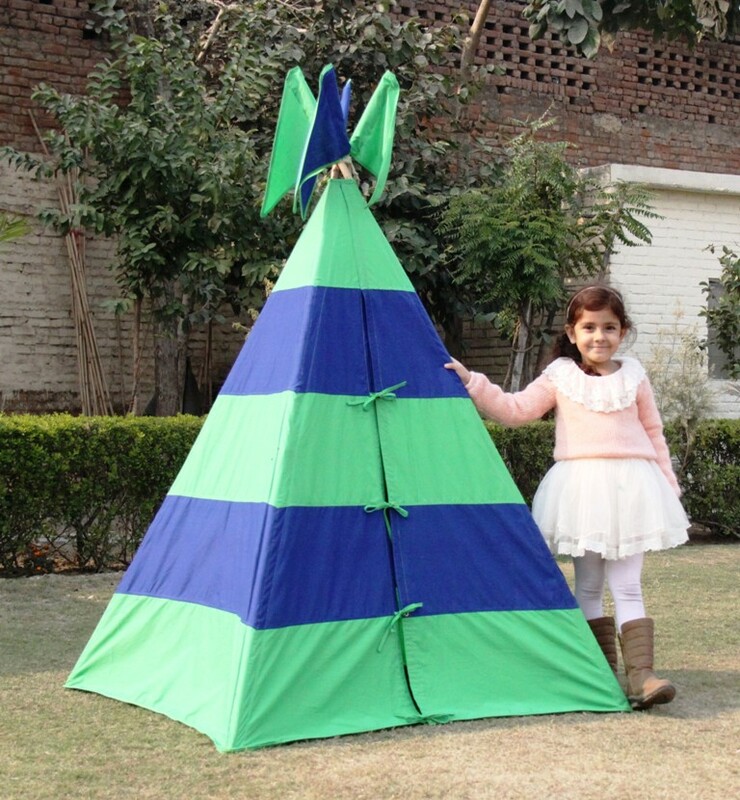 We wish you all a Merry Christmas ! 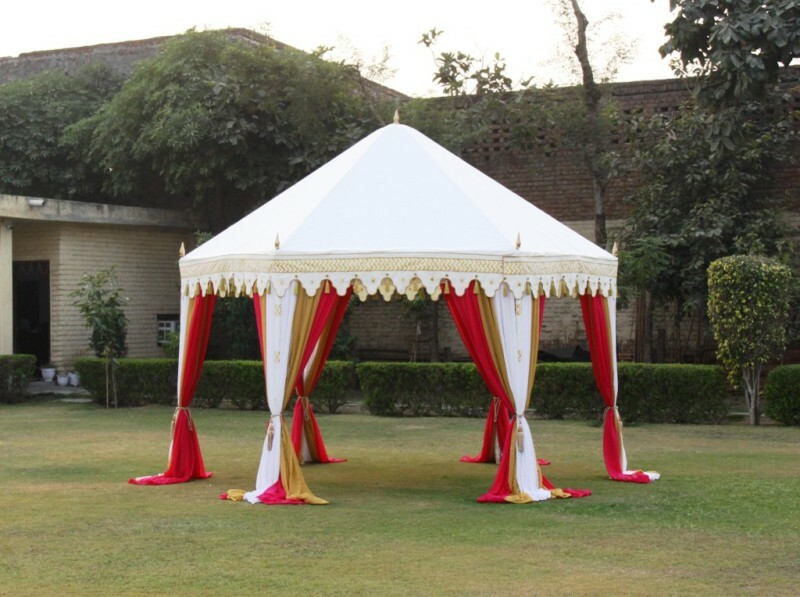 Make your party happening with your personalized tent. 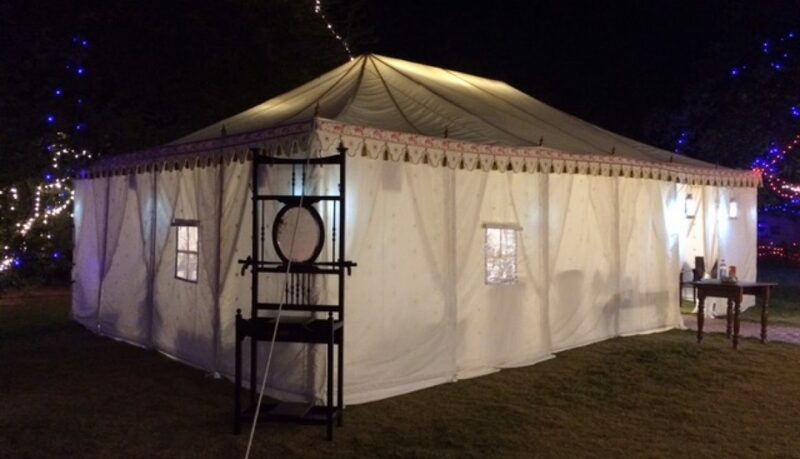 This Party Marquee was customized for a Special Private Christmas Party ! 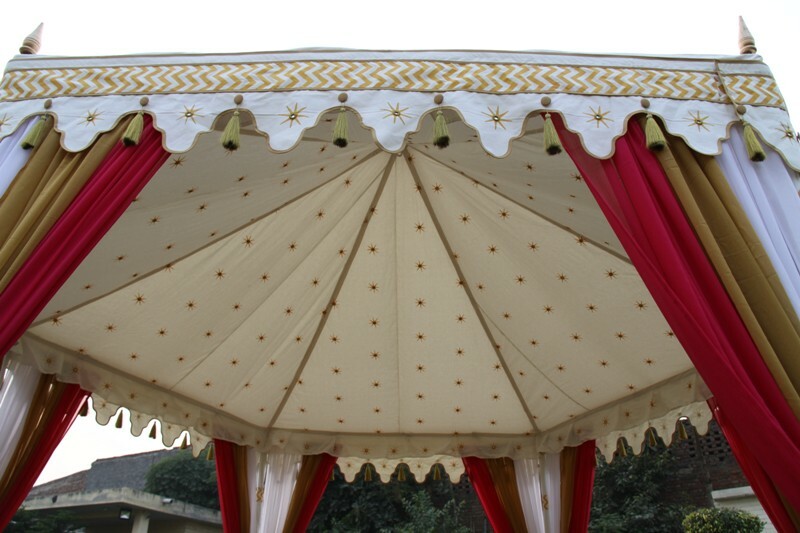 There is a story behind every Tent we make. 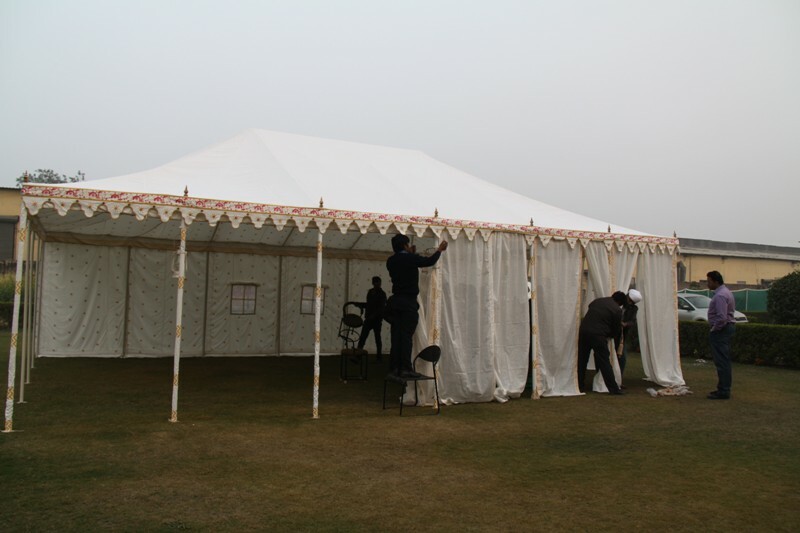 Each Tent is designed keeping in view the taste, choice and specifications of our clients. 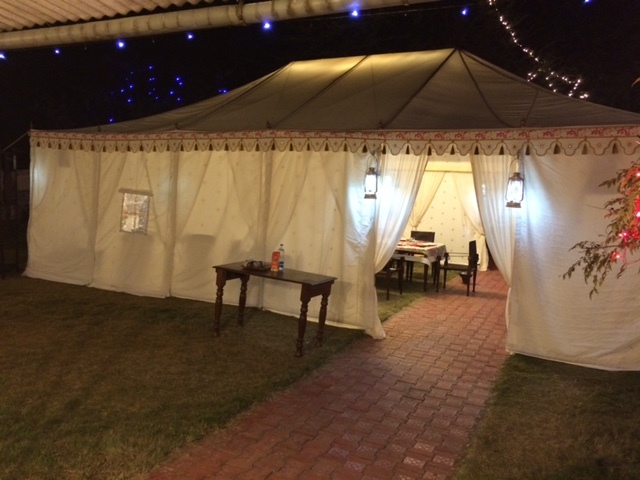 After a number of meetings with our esteemed client, discussing designs, color schemes, size, checking the water proof extent of our canvas, number of windows, doors, curtains and everything in details, we were able to create this personalized Marquee for the Christmas Party at his home town. 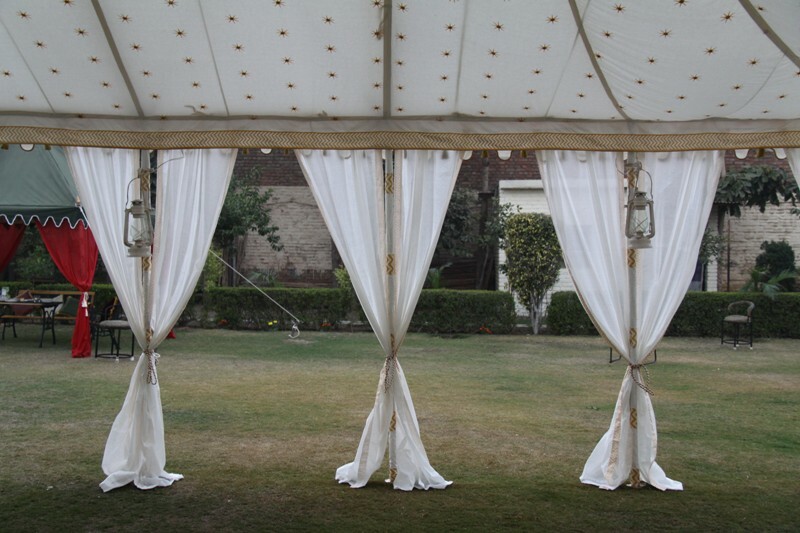 The outcome was Beautiful and our client was very pleased with his Party Marquee. 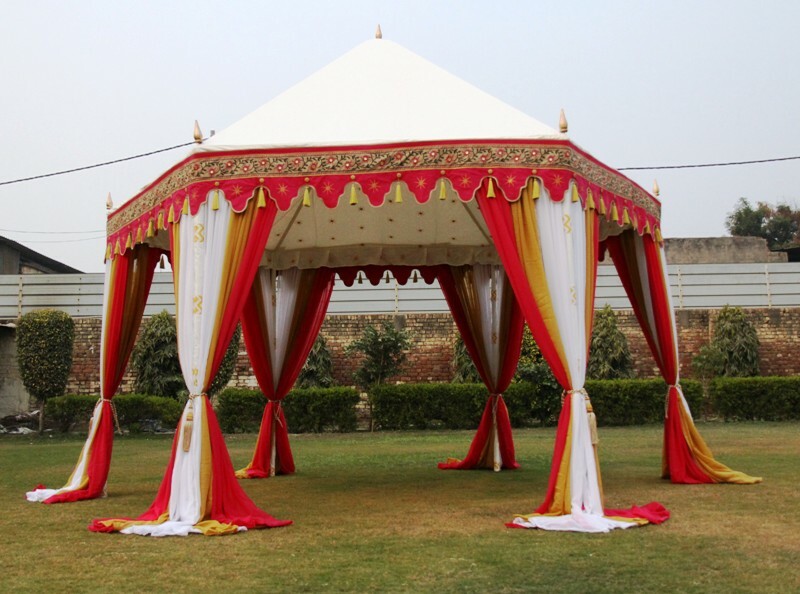 Customer Satisfaction is guaranteed if you choose us ! He sent us some pictures after the Party..